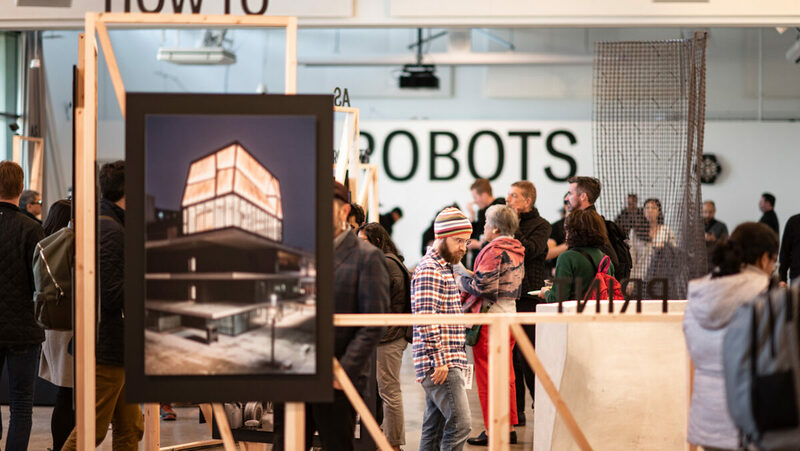 On 12th March, the photo exhibition “How to Build a House: Architectural Research in the Digital Age” opened at swissnex San Francisco. The opening night was combined with a number of events, including a public conversation with Matthias Kohler & Benjamin Dillenburger. The exhibition, put together through a collaboration of NCCR Digital Fabrication, Gramazio Kohler Research and Digital Building Technologies, ETH Zurich, focuses on DFAB HOUSE and will run until 28th June 2019. PHOTOS ASTRA BRINKMANN FOR SWISSNEX SF.